Add a pop of color to your pickle stand with this Carnival King 3" x 1 3/4" x 6 1/2" printed paper pickle bag! Great for carnivals and concession stands, this paper pickle bag presents a playful printed pattern that is sure to catch your customers' eyes. It's made of durable paper with a bright white background for a crisp, clean appearance. This bag is an economical option for sanitary service of your signature pickles. 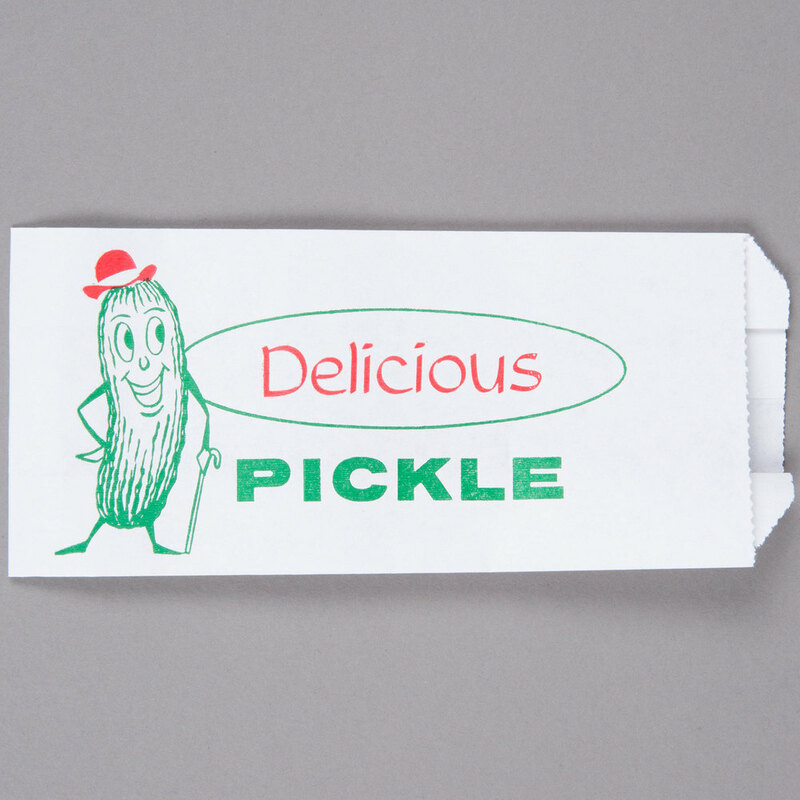 From bread and butter to kosher dill, this paper pickle bag is the bag of choice for your venue. Simply slide the pickle in the bag and send it off with your customers!